“I see a growing trend in coffee appreciation in our society of all ages. Coffee is a time-tested food & beverage that spices up our life. 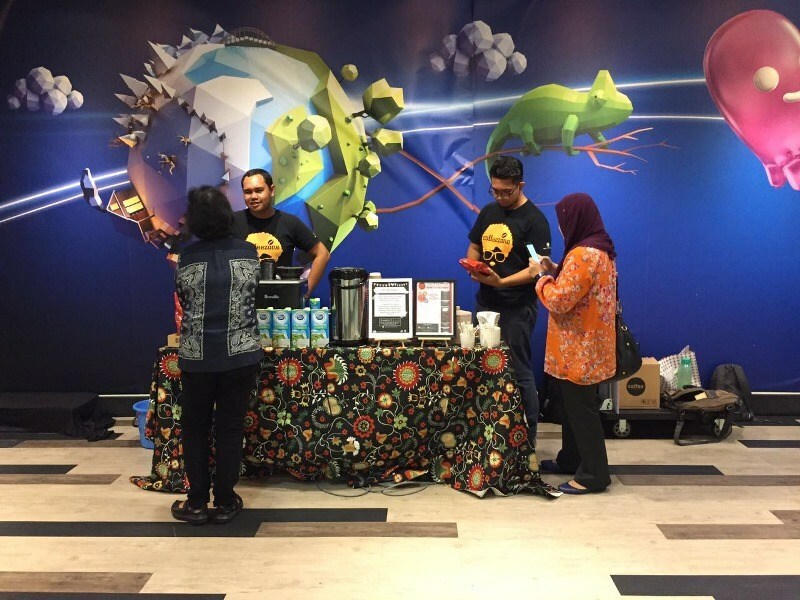 I started CoffeeZone with the aim of providing coffee at an affordable price,” Caroline Fong told Jireh’s Hope. According to The Sun, an average Malaysian consumes 2.5 cups of coffee every day. As such, there are tonnes of cafes, coffee shops and kiosks that scramble to quench people's thirst for coffee. 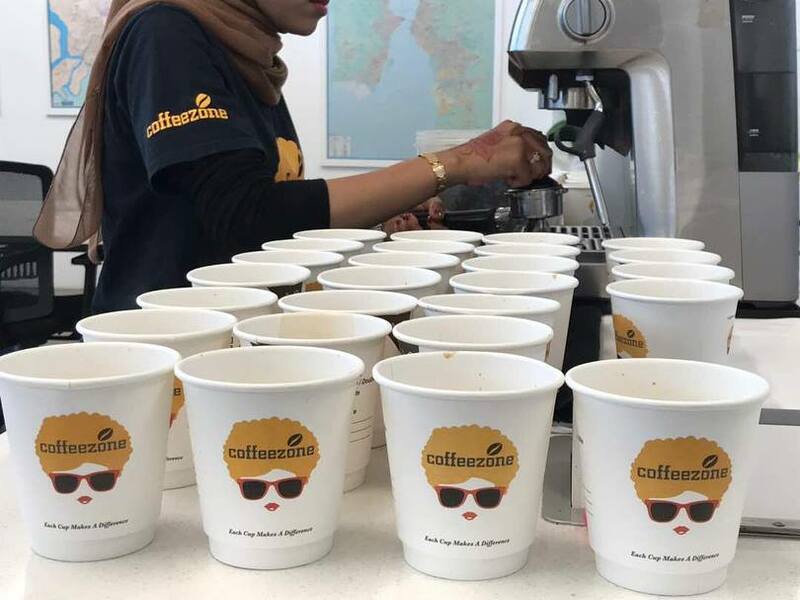 CoffeeZone services customers in a highly competitive industry. Here's what sets them apart from the rest of their competitors. Students and procrastinators like myself often consume a lot of coffee especially when there’s a tight deadline. Premium coffee however, is commonly overpriced especially for students. This is something that Caroline realised when she was hanging out with her friends at her favourite coffee shop. This was essentially her Eureka moment where she wanted to offer high-quality coffee for students at an affordable rate. As such, you could buy a drink from CoffeeZone for as low as RM6.00. And they primarily operate in a range of college campuses like the University of Kuala Lumpur Kampung Baru, Cyberjaya University College of Medical Sciences, among others. 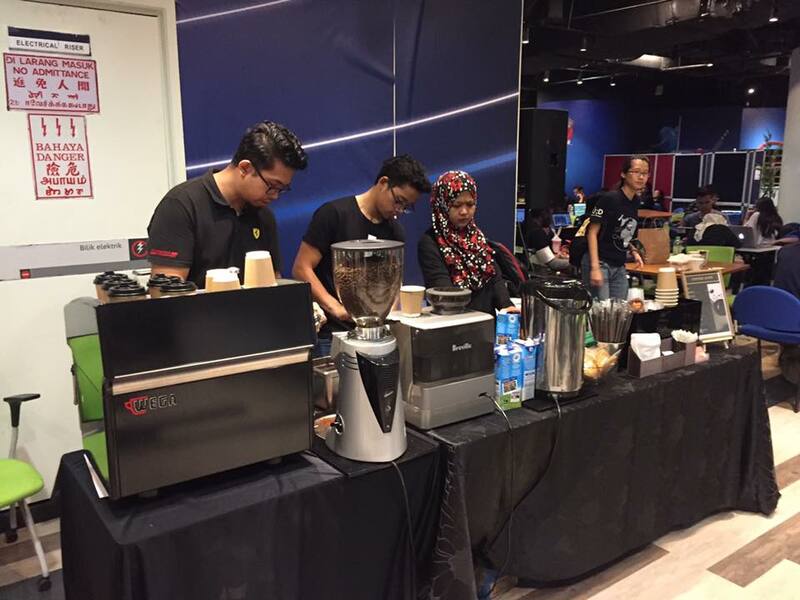 Furthermore they also provide coffee catering for special events like product launches, and social gatherings. They’ve catered for clients like Petrosains. According to their website, they’ve served more than 3,000 cups of coffee to their corporate clients. Keeping costs low enables them to pass on the savings to you when you make a purchase. They do this through various recycling efforts. For example, their stands are made from recycled pallets. This is a much cheaper alternative compared to purchasing virgin wood. CoffeeZone also designed their kiosks to only contain the essential machinery required for brewing and nothing else. Today, they also recycle their coffee ground into body scrub and fertiliser that's sold to their regular customers. They’re also looking into using paper cups as an alternative for their cold drink plastic cups in the future. Essentially, this will help cut down the amount of waste they produce as an enterprise. CoffeeZone also hires single moms, troubled youth, university students, and people from low-income households. Their new hires are introduced to their mission, and operating procedures. 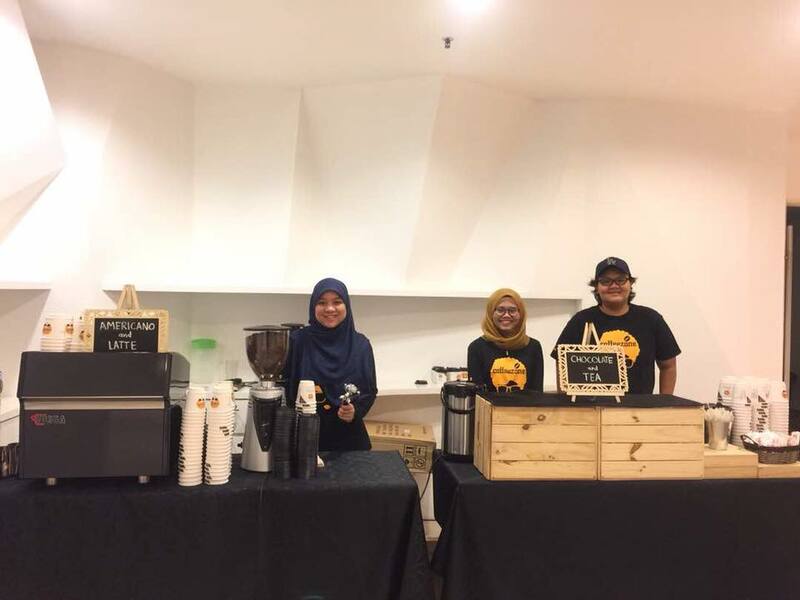 Within 2 days, they learn how to manage the kiosk, serve drinks, clean and interact with customers. So far, CoffeeZone has hired 4 single moms, 4 troubled youth, more than 30 university students, and 4 differently-abled individuals. Some employers might feel like they’re taking on more liability when they hire differently-abled people. However this isn’t entire true. Differently-abled people can function just as effectively within a team, provided they’re properly trained. Starbucks Malaysia for example, runs an entire store in Bangsar Village II with only deaf employees that serve customers effectively. They even work closely with the Society of Interpreters for the Deaf (S.I.D) to facilitate the hiring, training and coaching of their employees. 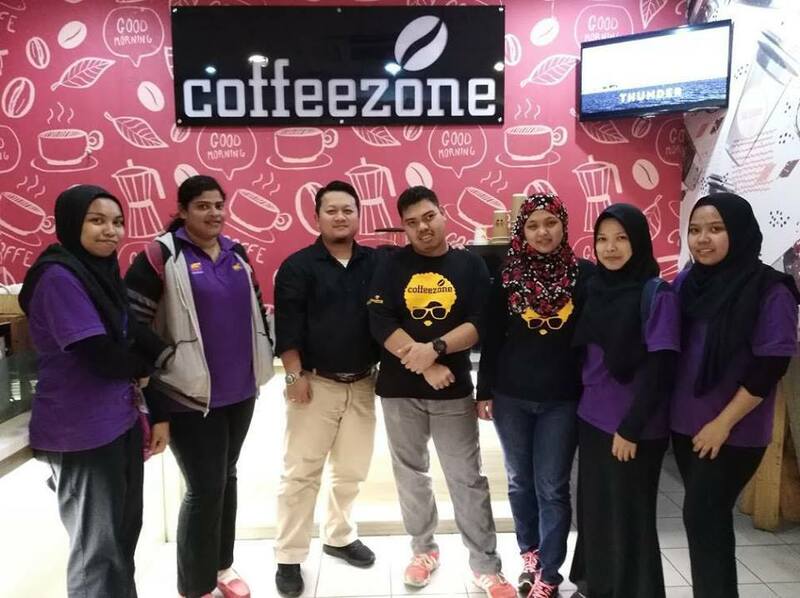 CoffeeZone is trying to impact disadvantaged people despite being in a highly competitive industry. Caroline believes that this isn't just a limiting factor but a strength. "It's a fair ground of business out there. We don't regard our peers as competitors, instead we regard them cooperators-competitors. We work together in some ways; and upskill and sharpen our edges in our respective ways," she told us. “Today we have added more value to our business than mere pricing.